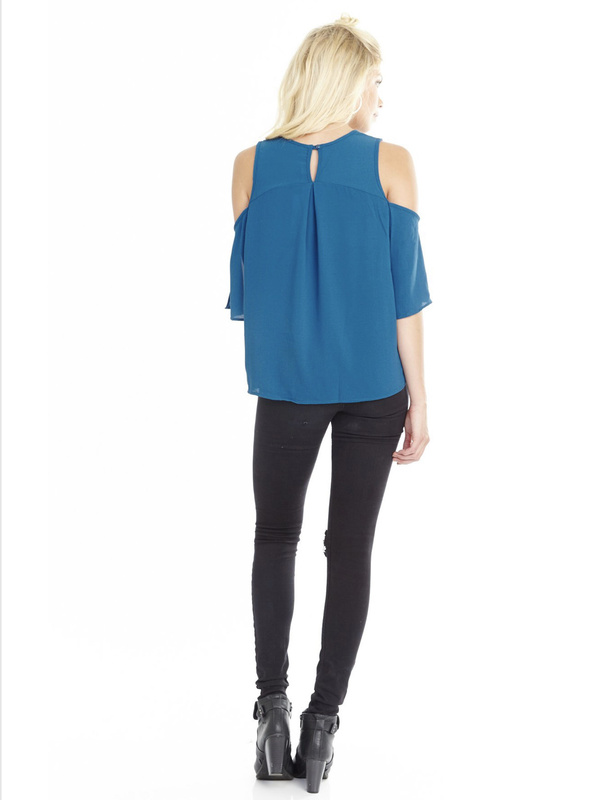 Beautiful Sky Blue Cold Shoulder Top. Wear dressy or casual-you decide. Fit is true to size.